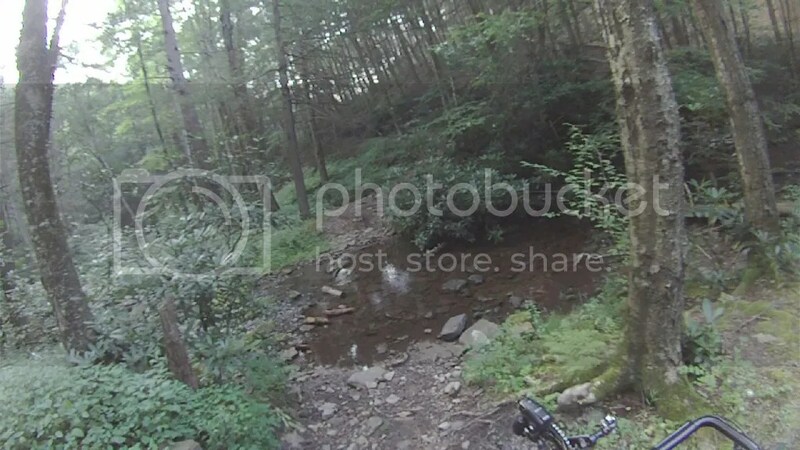 Continuing the mini-theme of non-Rothrock rides…..Greens Valley was a road not far from the SC area that I had been eying on a map for a long time. It runs down a green forested valley seemingly to nowhere and on all sides it is surrounded by well populated valleys. 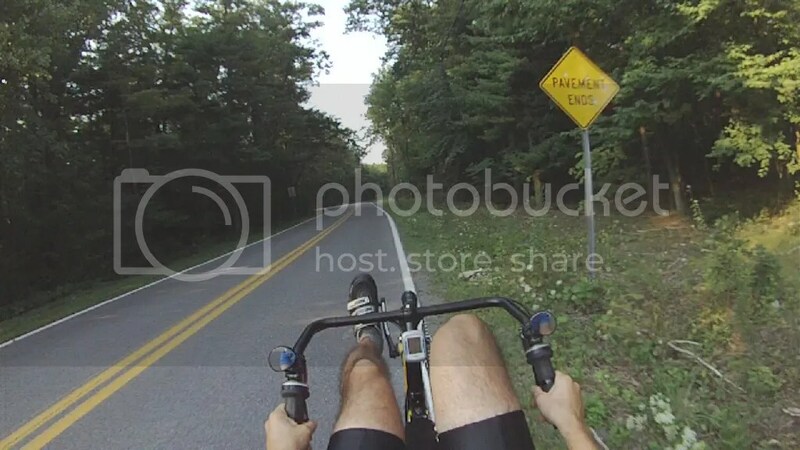 Google maps makes you think its a ‘real’ road. It’s not. We sorta expected some gravel, but not what we really found. It doesn’t really deserve a real road anyway, because it’s truly a ‘hidden’ or ‘lost’ valley, methinks. I bet most people in the region never heard of it or know where it is. Part of the reason may be that it is Bald Eagle State Forest land mostly (even though it’s not connected to the rest of BESF). And there are no recreational sites of any kind. I bet its a good place to hunt, however. I saw some deer and wild turkeys on the ride. The pictures and captions below tell the story. At one point we considered turning back at the stream, but plowed ahead anyway. We had a few moments of confusion at different points wondering which direction to go, but all’s well that ends well. Greens Valley starts out paved, but quickly turns to gravel. The descent ends where a long-gone bridge crossed a stream. Nothing to do but try to keep your feet dry. I failed at keeping my feet dry. 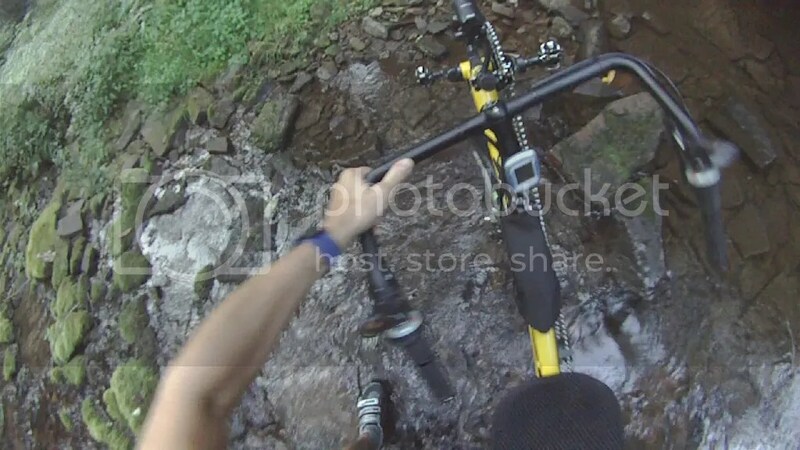 At least I had SPD shoes that could grip on the wet rocks. Eric, on the other hand, was wearing road shoes. Not the best choice for such a ride, but…. Amazingly, Eric did not slip or get his feet even slightly wet. How’d he do that? Somewhat rocky but pretty ridable climb out of the valley up to Blue Ball road at the top of the mountain. Hilarously, I found out after the ride that someone created a Strava segment for this climb. 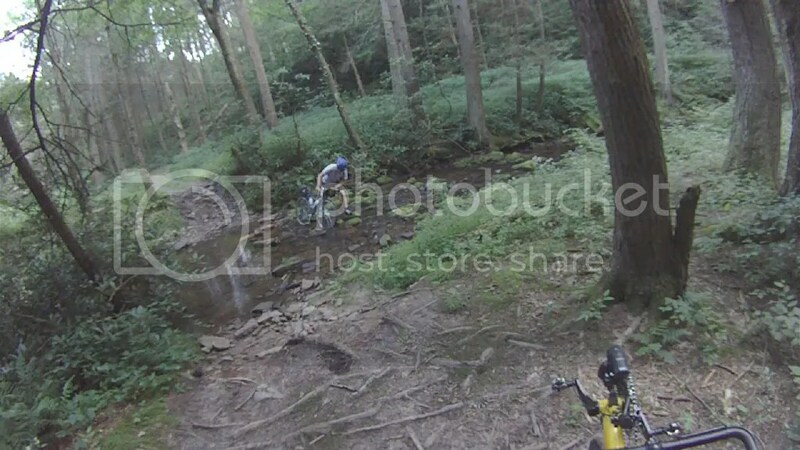 It’s only been ridden twice – by me and the person who created the segment probably. Wierd. Back in civilization, we returned home via some familiar roads.